Michael Boyd is the Chairman of the Company and has been involved since its inception 11 years ago. 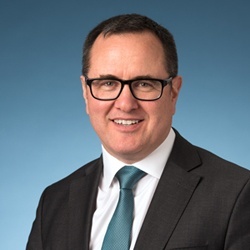 Based in Melbourne, he has led the corporate structuring of the Company and the development of the Group’s strategic vision. On a practical level, he has initiated contacts with all stakeholder groups including professional bodies, regulatory bodies, wholesale distributors, pharmacy groups and individuals. Mr. Boyd has been involved in the creation of new enterprises, both in the private and public sectors, for over 25 years. Mr. Boyd has been successful in developing and growing new projects in diverse areas, including healthcare, telecommunications and finance. Trained as a Charted Accountant, he was a founding Director and Chairman of Sonic Healthcare Ltd, now an ASX listed top 50 company. After leaving Sonic he started Foundation Healthcare, growing it to over 800 healthcare professionals before it was acquired by Sonic. He was also a founding partner of Iridium Satellite bringing it out from bankruptcy to now a NASDAQ listed company. 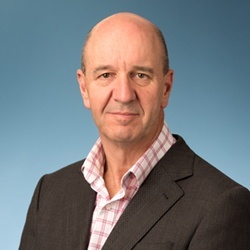 Mr. Renwick is very broadly experienced across the pharmaceutical and healthcare sector in Australia. His involvement with the sector commenced in finance roles that lead into commercial analysis, marketing and sales. From this broad commercial experience in the manufacturing end of the supply chain, he moved into the wholesaling segment with various business development roles in retail and hospital pharmacy. Mr Renwick’s roles broadened into commercial and business development, including as general manager for a corporate pharmacy business. He has completed two Business Development roles within the CSL Limited group. With his detailed commercial knowledge and broad experience across the healthcare segment, Brian has provided consulting advice to Jayex since 2006 and is an important member of the team. 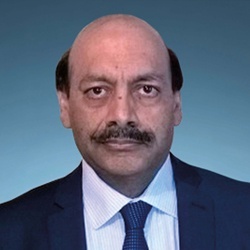 Based in London, Mr Jain has over 30 years experience as Managing Director of Jayex Technology Limited, with extensive hands on experience in mentoring management teams, sales, international business, CRM and Accounting systems. He is a graduate in Physics from Imperial College, London and has many years of sales experience with multi-nationals in his early career, subsequently progressing to managing diverse business operations. Mr Jain has been the founder of several successful companies in IT, finance, electronics, and media. Mr Chan has extensive experience in broad based financial services for the past 30 years with hands on knowledge in both consumer and commercial segments. Mr Chan is the founder and Managing Director at AMG Corporate Pty Ltd, a holder of an Australian Credit Licence with responsibility for marketing and distribution programs, client management and corporate relationships. Prior to establishing AMG Corporate in 1995, he worked in strategic business development and marketing at several companies, both in the private and public sectors. Mr Chan’s greatest strengths are his creativity, drive and leadership. He thrives on challenges, particularly those that expand the company’s reach. Mr Chan has had past affiliation with Make a Wish Foundation and more recently is the founder and chairman of The Mate Foundation – a men’s health initiative with its principal purpose to help raise awareness of men’s health diseases, which is due to launch shortly. He has over the years also undertaken volunteer work for various other charities and causes in his community.